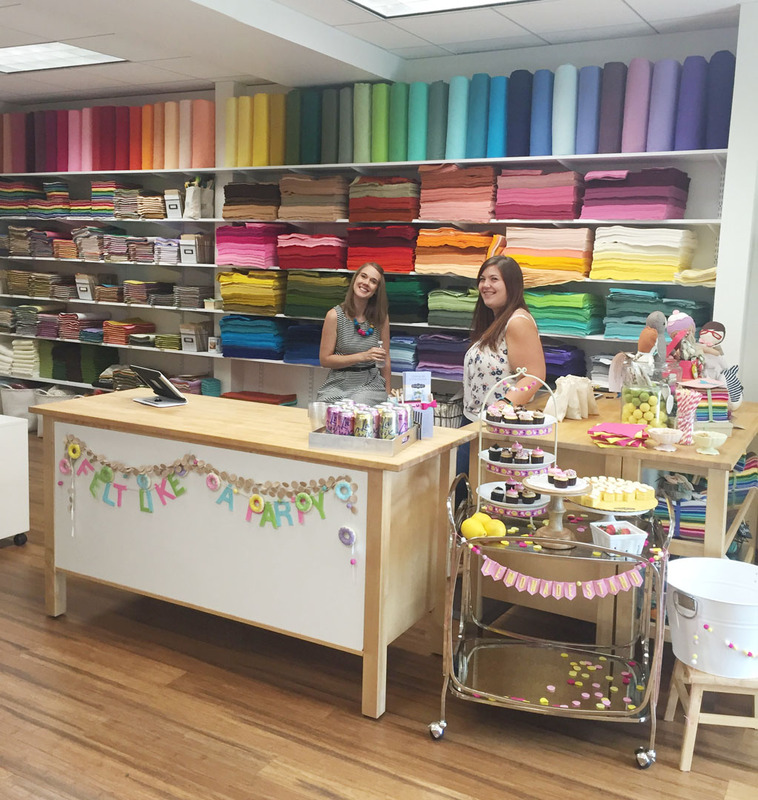 The Sassy Pack Rat: I Took A Field Trip To Benzie Design's New Brick And Mortar Felt Store. I Took A Field Trip To Benzie Design's New Brick And Mortar Felt Store. 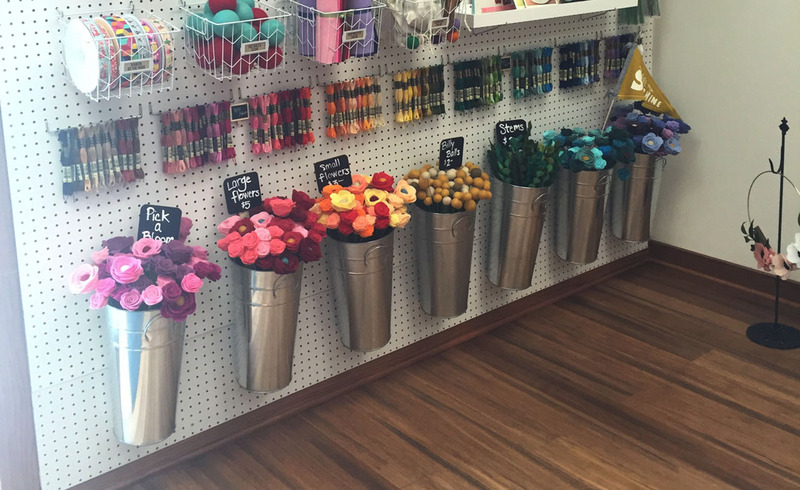 Field Trips To Shops That Sell Felt Are My Favorite! I geek out over felt and sometimes fabric like other women do over shoes or clothes. So when Benzie Design, who I ordered online from for about 2 years now, opened an actual walk in and touch everything store. I was in heaven and quickly made plans to go as soon as I could. 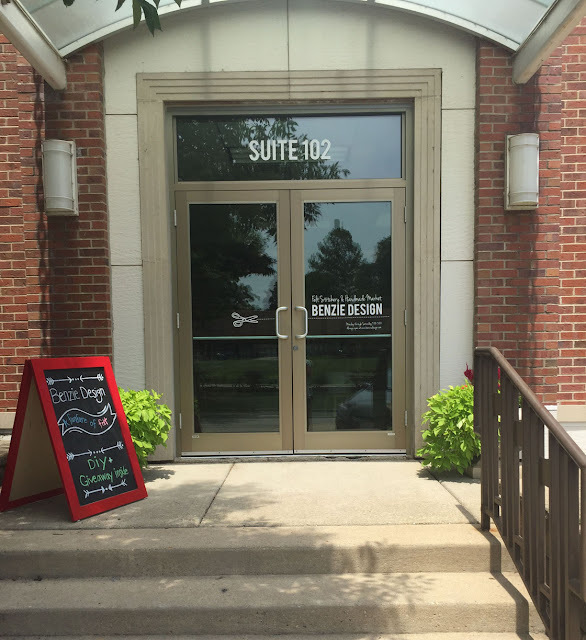 Tuesday my daughter and I took a field trip out to Plainfield, Illinois to check out Benzie Design's new shop. Although they have been open for a few weeks Tuesday July 19th was their Grand Opening. I had planned on going for the grand opening for weeks, but unexpectedly found myself in the ER on Saturday and then in the hospital until Monday night and thought I really wouldn't be able to go. But I pushed though it all determined to go and I did. I looked like hell and I was exhausted but nothing keeps me from felty goodness! I live about 40 minutes away from Plainfield. It's close enough to take a trip once in a while, but not close enough to drop in whenever I need felt, so my plan was to do some stock up shopping. Plainfield is about an hour from Chicago and about 40 minutes from the South Suburbs of Flossmoor, Homewood, Olympia Fields, Matteson, Country Club Hills, Tinley Park, etc. I don't drive on the highway anymore because I suffer from severe anxiety, but my daughter was kind enough to drive me there knowing how over the top excited I get about felt. Benzie Design Is Located In A Really Cute Downtown Area Of Plainfield, Illinois. 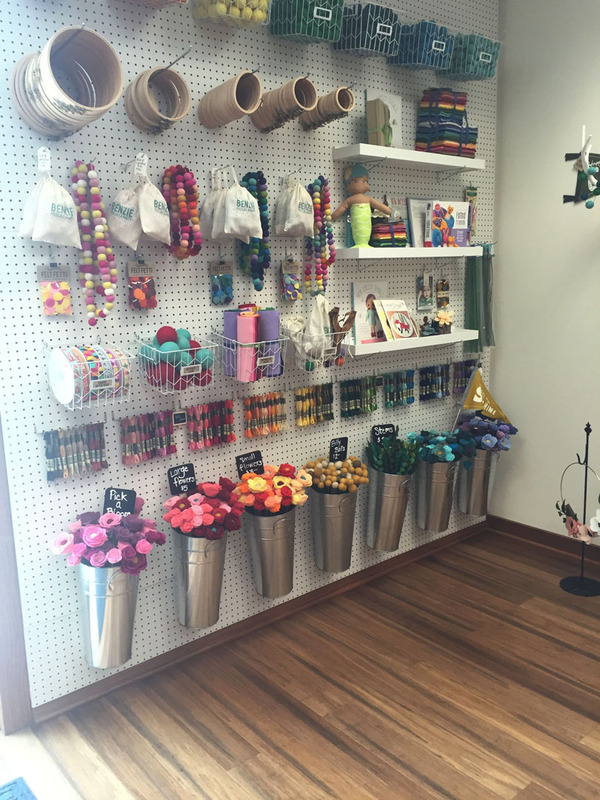 Benzie Design is in a row of cute little shops right across from a little public park with a splash pad. There is also a decent Mexican Restaurant on the corner. Getting there was really easy and I was so excited to get inside and and look around. Renae Bradley, the owner of Benzie Design greeted and welcomed us. I told her I was a newsletter subscriber and a member of her Facebook Group and she remembered some of my art and patterns I posted there. 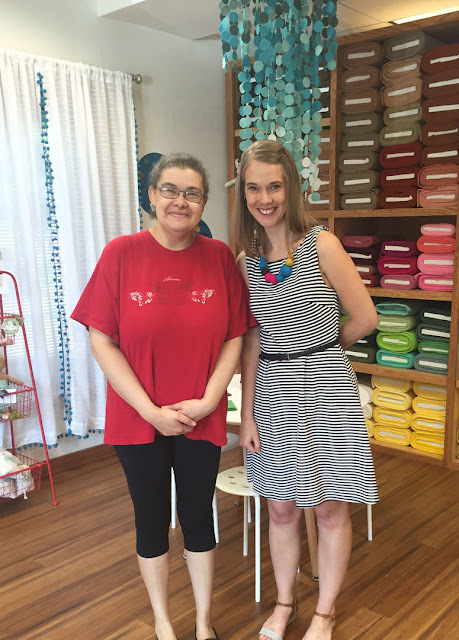 We had a nice little chat as she showed me around her cute shop. 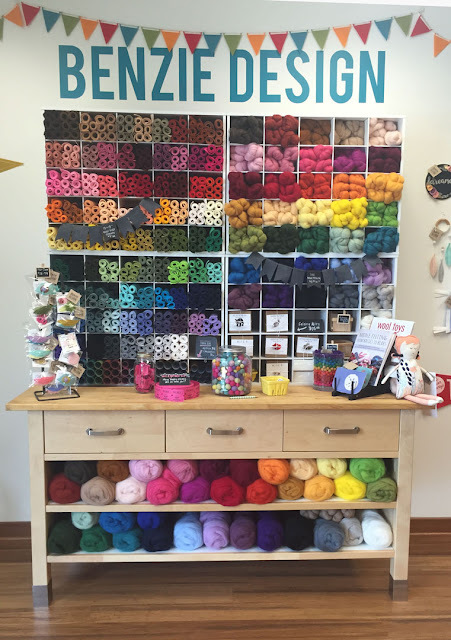 Benzie Design Is A Well Laid Out Shop. As an artist I'm a very visual person and I was so excited to see all the bright colorful felt and other items in the shop displayed in such a logical and fun way. 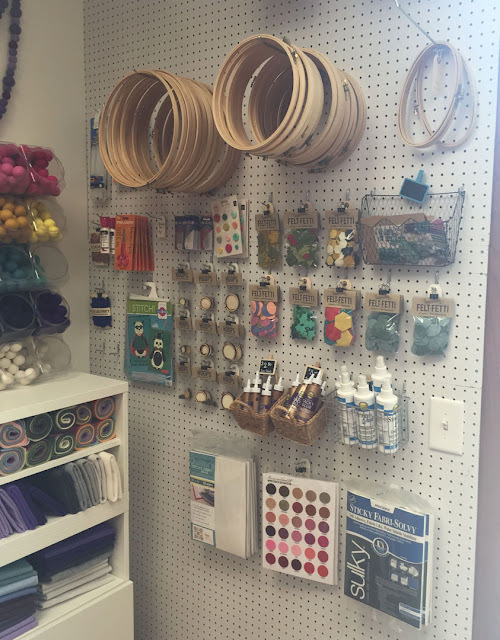 The shop's products are organized in ways that make it easy to find what you want. My daughter who says she isn't crafty at all, was quite taken with the felt flowers. She's getting married next year and I've been trying to get her to consider a felt flower bouquet. She really did like these and may now be considering felt flowers. I thought it was so fun that you could mix and match a felt flower bouquet of already made flowers. I wish I had done that, but I will next trip. My Favorite Display In The Shop Was This One. 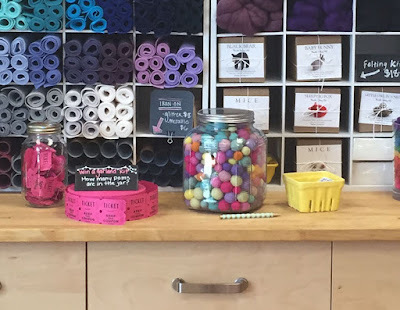 All the colorful felt pom poms in the glass candy jars reminded me of a candy shop and the poms here came in 3 different sizes and so many awesome colors. 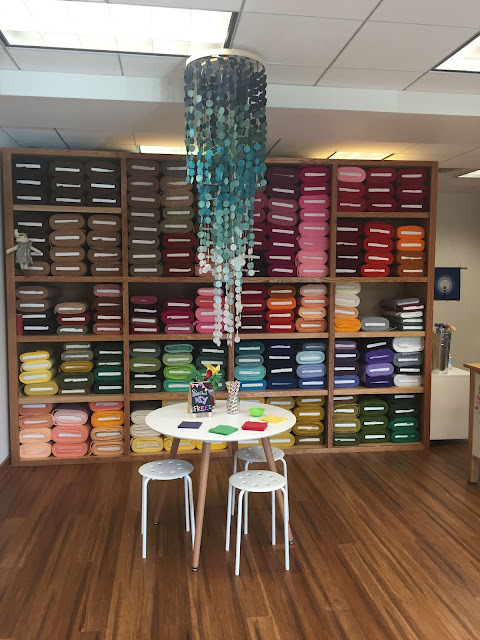 Below that the shelves hold 10 sheet collections all tied and ready to entice you with their luscious colors. Then further down there were 1/2 yard and 1 yard cuts of beautiful, wonderful felt. I had colors in mind that I needed but there was so much more that I wanted! My Second Favorite Display Was This One. This hutch was packed full of happy felt goodness. It had 12" x 18" felt sheets, wool roving, kits, books and some client work for sale. 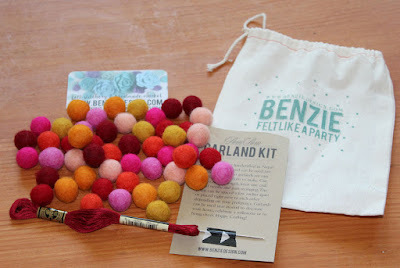 Oh and I believe there were some more felt pom poms in the 3 three drawers. There was also a "Guess how many pom poms are in this jar" contest too. My daughter and I went back and forth until we agreed on a number and entered the contest. To the right of this hutch there was a display of client felt art: pendants, dolls, hoop art and a feather mobile. I'm sure I'm missing some, but you'll have to stop in and see for yourself. 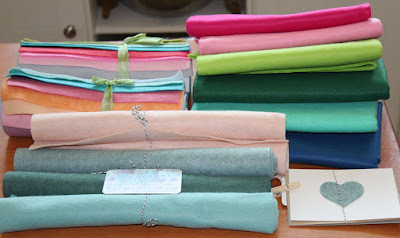 Of Course There Were Bolts Of Felt All Stacked Up And Calling My Name. I seriously wanted to buy yards of felt in every color, but my budget was yelling "Oh no you don't!" So I didn't, but I will be back to buy more. Take a look at this lovely ombre chandelier made from felt that is hanging from the ceiling. It is a real showpiece! On the table there was a diy set up to make your own felt pinwheels. If I wasn't so overwhelmed by all the felt I totally would have made one. You Can't Have A Grand Opening Without Cupcakes! 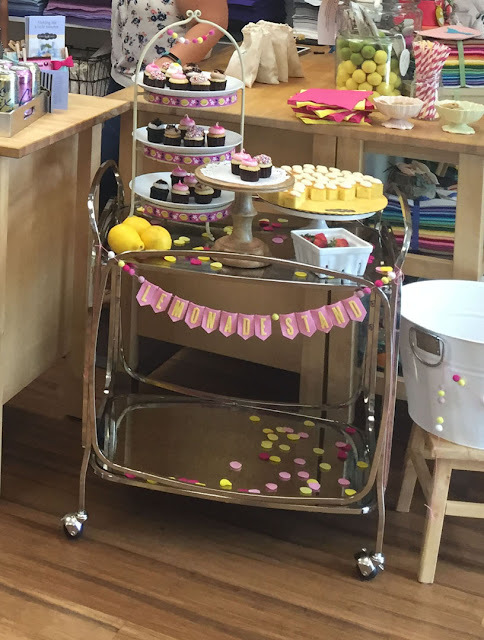 There was an adorable cupcake and lemonade stand. Honestly, those cupcakes were delicious! I'm an absolute sucker for a good cupcake. I had 2. My daughter only had one and regretted she didn't take another one. There were cups of lemonade too but we had a long drive back so decided not to have any. And finally even more awesome felt and a smiling Renae and her assistant Courtnye. 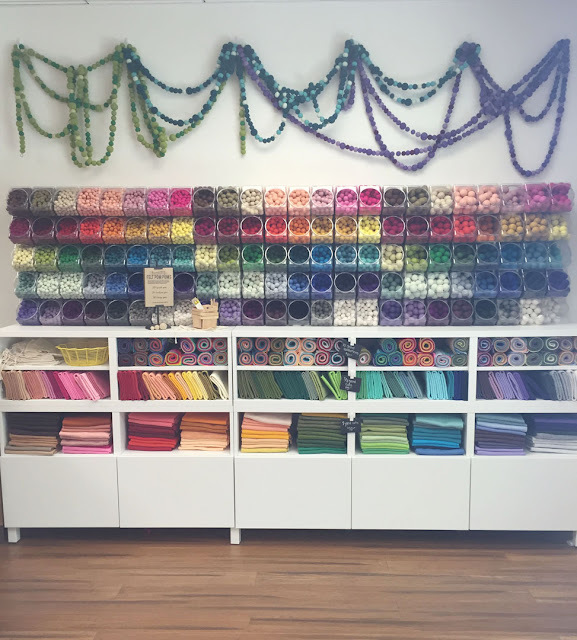 I was so overwhelmed by all the felty goodness, getting to touch the felt and physically match colors that I paid for my felt and left...without taking any photos!!!!! We were walking back to the car when I realized I came all this way and now I couldn't write a blog post about the trip. So I asked my daughter if she'd be embarrassed if we went back in and asked if I could take photos. She said, of course not we came all this way lets do everything you wanted to do. Have I mentioned how much I love my daughter?! She's so awesome! Renae was very accommodating and even took a photo with me. 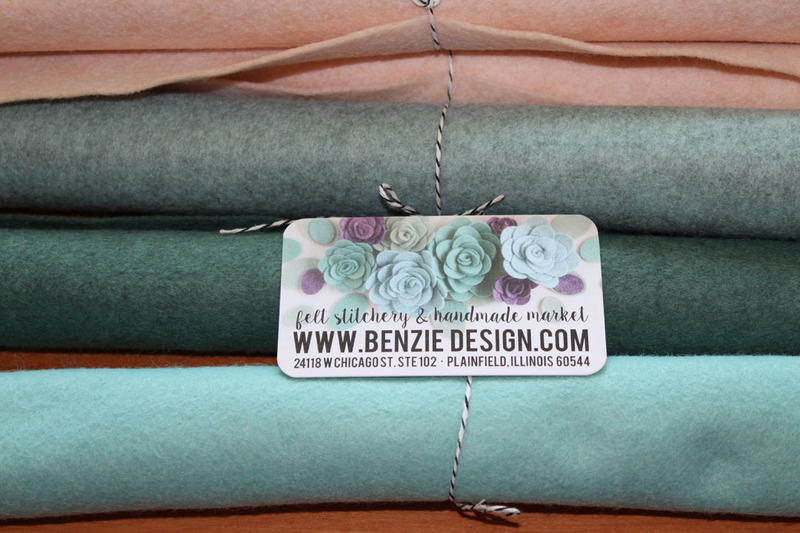 So I Know You Want To See My Felt Haul From Benzie Designs. I seriously could have spent hundreds of dollars in Benzie Design, but I only did a small stock up of some colors I've been wanting. 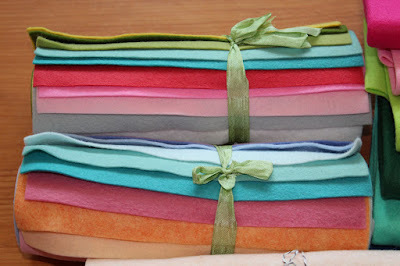 I usually buy felt by the yard but am running out of storage space in my studio, so I bought smaller amounts this time. I was given a sweet freebie of 2 note cards with felt heart accents. I just love little things like that, although I tend to keep them rather then send them to anyone. 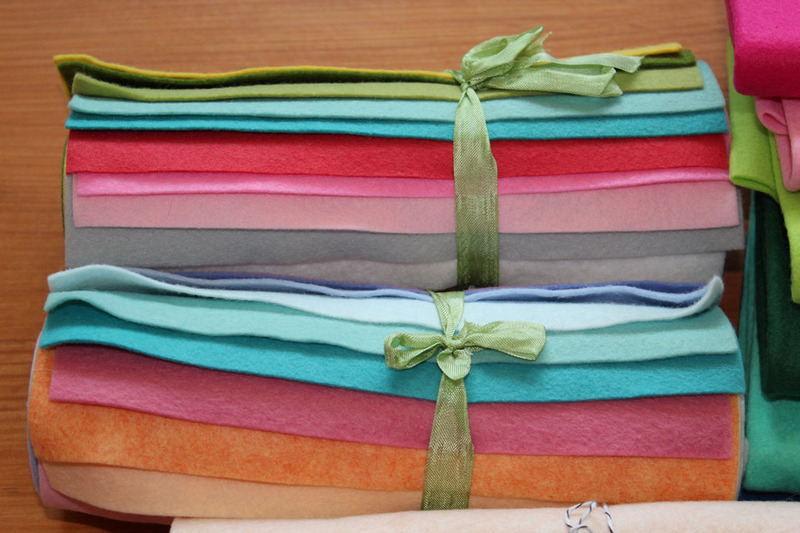 I bought 6 1/2 yard sheets of the colors I use most in my poly felt since I'm transitioning over to wool blend felt. Benzie has so many awesome color collections! There were so many color collections that I loved I had a really hard time picking just 2. Glitter and Glass is the top one and has a lovely vintage Christmas vibe. The bottom one I think is Mermaid Lagoon and I just loved the color combo. I also picked up some 12" x 18" felt sheets of fun underwater type greens and a Caucasian flesh tone felt. I got one last fun freebie since I'm a newsletter subscriber. A super cute and colorful garland kit. I'm going to make this and hang it in my studio. 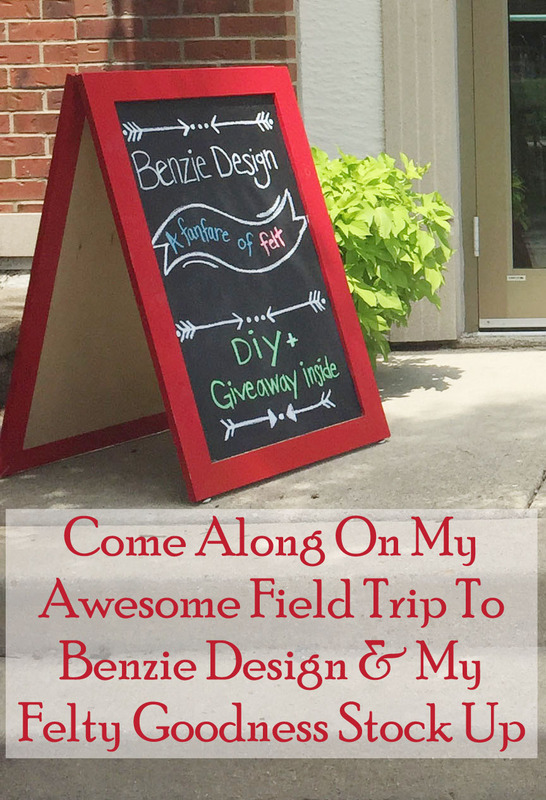 I really enjoyed the field trip to Benzie Design and will go again soon. I wish Renae much luck with her brick and mortar business venture! 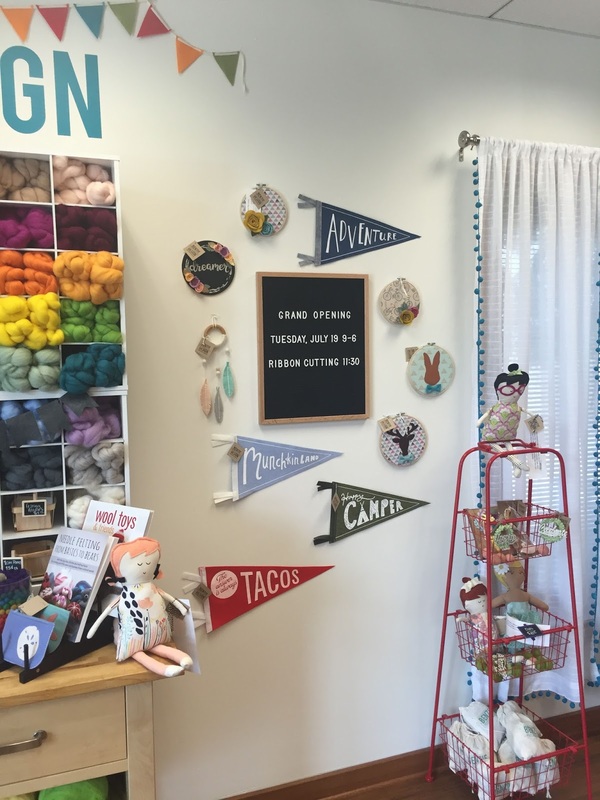 If you are in the Chicagoland area and use felt in your art, craft with felt and just love felt I encourage you to take the time and make the trip to Benzie Design.